Today the acquisition of Nokia by Microsoft is complete. The shareholders approved the acquisition and all the regulatory red tape has been cut through. Long before the smartphone of today, there was Nokia. The first cell phone I had was a Nokia. 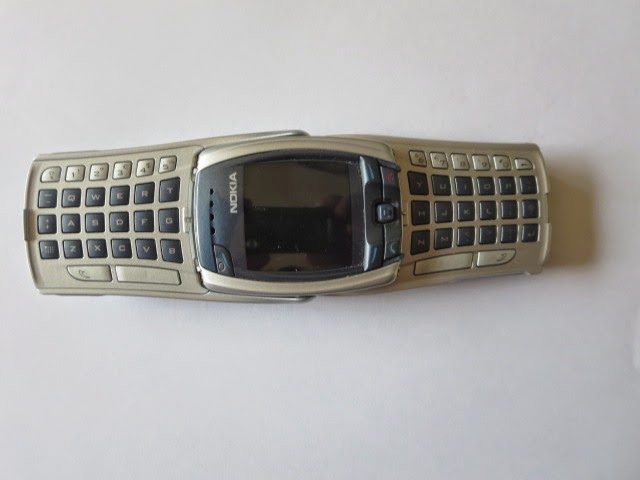 It was a brick of a cell phone and then the candy-bar Nokia cell phones started to show up. In those early years of the cell phone the Nokia phones always seemed a little heavier and sturdier. They were ahead of the game when cameras were introduced into cell phones. When the texting craze started Nokia had the 6800. The 6800 was a candy-bar phone where the top part of the keypad flipped open to a keyboard when turning the phone horizontal. I am hoping that creativity comes back. I like the Nokia blue but I don't want the blue screen of death on my phone. Today MetroPCS customers with select phones can call unlimited from the U.S. to landlines in Mexico, plus unlimited texting from the U.S. to Mexico for $30 a month. This offer is for a limited time to new and existing customers. You can read more about the details at MetroPCS. On April 30'th T-Mobile will offer the LG Optimus L90. This smartphone is powered by a 1.2GHz quad-core processor. The L90 has a 4.7 inch HD display for seeing the pictures taken with the 5MP camera. To prevent scratches on the back cover from keys and other objects the L90 has self-healing paint. For more details on the LG Optimus L90 head on over to T-Mobile. Starting today MetroPCS is offering the LG Optimus L70. The L70 has a 4.5 inch WVGA display and has a 5MP camera. This smartphone is powered with a 1.2GHz dual-core processor. If you want a smartphone that won't break the bank, this might be the phone. The LG Optimus L70 costs $49 after a $100 instant rebate. For more details and plan rates you can go to MetroPCS. AT&T GoPhone customers will get more data on their No Contract plans starting April 25'th. On the $60 a month plan customers will go from 2 to 2.5GB of data and WiFi hotspot capability with unlimited talk. On the $40 a month plan customers will go from 250 to 500MB of data and 500 minutes of talk time. AT&T is offering a new plan from WalMart stores of 1GB of data with unlimited talk for $45 a month. You can read more about the details at AT&T. Today Verizon is releasing the DROID MAXX in two new colors. Customers can get the DROID MAXX online today or in stores beginning April 22'nd in High Gloss Red or Black with Chrome Accents. The MAXX will come with the latest Android 4.4 KitKat OS. The long lasting 3500 mAh battery will let you take a lot of pictures with the 10MP rear-facing camera and 2MP front-facing camera. This smartphone comes with a Motorola X8 Mobile Computing System 1.7 GHz dual-core processor. The DROID MAXX is $99.99 with a new two-year activation. For more plan details head on over to Verizon. T-Mobile, the Un-carrier, is going to eliminate overage penalties. Whether a customer is on the Simple Choice, Simple Starter, or an older plan the bills that arrive in June will not have overage penalties. The CEO of T-Mobile is challenging AT&T, Verizon, and Sprint to do the same. The CEO, John Legere has even started an online petition at change.org/abolishoverages. You can read more about this at T-Mobile. Verizon Wireless opened pre-order of the Samsung ATIV SE online on April 11'th and in stores April 12'th. Customers can pre-order this Windows Phone for $199.99 with a two-year activation. A second Samsung ATIV SE can be purchased for free with another two-year activation. This smartphone has a 5-inch Full HD Super AMOLED Display. The ATIV SE has a 13MP rear-facing camera and a 2MP front-facing camera. You will be able to Beam pictures taken using Bluetooth or NFC to other Bluetooth or NFC enabled Android or Windows devices. The 2600mAh battery will power the Windows 8.0 OS which has a 2.3 GHz Quad-Core processor. The Samsung ATIV SE will come in Silver. Read more at Verizon for availability. The WeGo from Sprint is available today. The WeGo is designed for parents to keep a child or elderly relative safe. The device has two volume buttons on the side for controlling the volume or scrolling through the 20 number contact list. There is one button on the front to push for automatically dialing the desired number. The phone can only receive or send pre-programmed texts and calls from authorized phone numbers. The phone can be set-up online with the authorized phone numbers, GPS Tracking of the phone, and automated text or e-mail notifying movement of the phone and speed of the phone. The Sprint WeGo Service is $9.99 per month and includes 1000 minutes of talk and 1000 text messages. For all the details and availability you can read about it at Sprint. An over-the-air update will start rolling out today for Sprint customers who have the Samsung Galaxy S4. This update is a free service that allows customers to use home WiFi or public WiFi networks for voice and messaging. Once this update is pushed to the Galaxy S4, WiFi calling will have to be activated in the app or settings of the phone. This feature will work seamlessly in the background of the phone without the user even knowing. You can read more about the details at Sprint. Starting April 12'th the Simple Starter Plan will be available from T-Mobile. For $40 a month, customers will get unlimited talk and text and up to 500MB 4G LTE data and tethering. There will be no charges for going over the data limit. The data is capped at 500MB. If a customer wants more data they have to purchase more data. The "Contract Freedom" is available for Simple Starter plan customers. This is where T-Mobile offers to pay the entire contract Early Termination Fees for customers who switch to T-Mobile and trade-in their phones. You can read more about the details at T-Mobile. The Kyocera Verve wil be available from Sprint on April 11'th and from Boost mobile in early May. 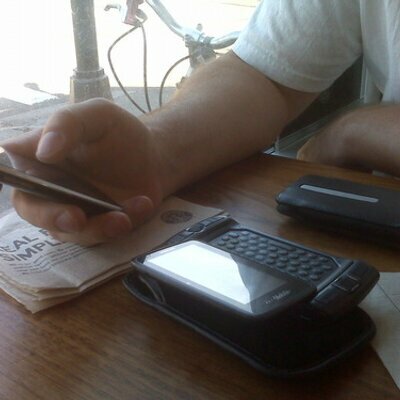 The Kyocera Verve is a slide-out QWERTY keyboard phone. The Verve has a 2 MP camera with a 11 mAh battery that runs on a BMP 1.0.4 operating system. This phone could be a good first phone for teenagers who text a lot. You have your choice of gray or pink and can get it from Sprint on contract or Boost Mobile with no-contract. Today you can pre-order the Samsung Galaxy S5 from Verizon. Customers can pay $199.99 after a $50 mail-in rebate and a two-year activation. For a limited time, with a $50 mail-in rebate and a two-year activation you get a second Galaxy S5 for free. Customers will have a choice of Charcoal Black or Shimmery White. The Samsung Galaxy S5 has a 5.1 inch Full HD Super AMOLED display. The big display will be useful when using the 16-megapixel camera with all its shooting modes. You will not need your credit card because this device is ISIS Mobile Wallet ready. The Galaxy S5 will have the Android KitKat 4.4.2 OS along with a 2800 mAh battery which has an Ultra Power Saving Mode that shuts off non-essential apps when you are running low on power. For dates on availability, read more at Verizon. AT&T announced that later this summer they will offer the Nokia Lumia 635 LTE smartphone with the new Windows Phone 8.1 OS. This device will offer the Cortana personal assistant with a fast Quad-core processor. Prices and dates have not yet been released. The Windows Phone 8.1 operating system is new and the Nokia Lumia 635 will have it when it's released. The Lumia 635 will have a 4.5 inch screen and a Quad-core processor underneath. This device will have live tiles like other Windows devices. Look for the Nokia Lumia 635 to be released later this summer. Earlier this week Blackberry announced that they will not renew their license agreement with T-Mobile. After April 25th, T-Mobile will no longer sell Blackberry's. If you are on T-Mobile and use a Blackberry, you will still be able to use your device. Virgin Mobile is now offering its first 4G LTE mobile hotspot on their Broadband2Go. The Netgear Mingle is $99.99 and uses Sprint Spark. This tri-band enabled device requires no contract with Virgin Mobile. You can connect up to 10 wireless devices. It's a dual-mode 3G/4G (where available), and is powered with a 1800mAh battery. With no-contract you can prepay $5 a day and get 250MB. If you need more data you can purchase 1.5GB monthly access for $25 or 6GB for $55.